Nowadays, you don’t have to don a cape and leap over tall buildings to be considered a hero—all you have to do is give some blood. With three lives saved with a single blood donation, saving others has become as simple as the prick of a needle and a few squeezes of a stress ball. To bring in the New Year and help save lives of people across the country, Sanderson Ford will open our doors for an American Red Cross Blood Drive on January 9. Participants will even receive a generous thank you for participating in the form of two free tickets to Barrett-Jackson Collector Car Auction and a $25 Gift Card to any Phoenix Quick Lane Tire & Auto Center. So come make a difference in somebody’s life and be the hero you’ve always wanted to be. 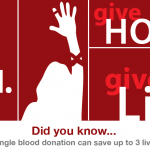 Stop by and donate blood on January 9th in the showroom at Sanderson Ford and sign up today to secure your spot! We hope you haven’t made plans yet for this Thursday night, Dec. 12, around nine. If you have, they better include dressing up in an ugly Christmas sweater and coming out to the Randy Houser concert at Toby Keith’s I Love This Bar & Grill. We’re warning you: You don’t want to miss this exciting night and the opportunity to benefit Operation Santa Claus. Tickets are just $25 for entrance to the concert and Ben and Matt’s “Ugly Holiday Sweater Party” presented by KNIX 102.5. Part of the night’s proceeds will benefit the 12th annual Operation Santa Claus. In case you’re just tuning in to our blog, Operation Santa Claus is a fundraising event that benefits the kids and families in our Valley community during the Christmas season. Until December 19, Sanderson Ford, Sanderson Lincoln, ABC15 and various UPS locations will be collecting toy, children’s clothing, food and financial donations. Those donations will be disbursed among St. Mary’s Food Bank Alliance, Ronald McDonald House Charities of Phoenix, Inc, Military Assistance Mission and The Southwest Autism Research and Resource Center. The second annual Claus-A-Thon, presented by ABC15, raised $376,613 on Dec. 3. Really, with everything going on at Toby Keith’s, where else would you be on Thursday night? Attention teen drivers and parents! Ford is offering a FREE program to newly-licensed teen drivers this Wednesday and Thursday, November 6th and 7th. The Ford Driving Skills for Life program works with the Governors Highway Safety Administration and a panel of safety experts to help teenagers learn the importance of safe driving at their age. Ford will be hosting two training sessions each day at the Wild Horse Pass Motorsports Park on South Maricopa Rd. Session 1 will take place from 7:30AM – 12:30PM and Session 2 is scheduled from 1:00PM- 5:30PM. Both sessions will be available on Wednesday the 6th and Thursday the 7th. For more information and registration info, visit www.DrivingSkillsforLife.com./ We hope to see you there! That’s right, it’s back! The 21st annual All Ford Show is returning to our Glendale, AZ dealership this October. Just like last year, we anticipate bringing over 200 show cars from around the city, state and nation to our dealership on October 5th. 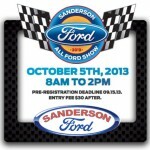 Sanderson Ford is asking their supportive vendors for a $500 cash donation to the All Ford Show charity. All vendors donating to the cause will be featured on the 2013 All Ford Show’s event t-shirt and program with a booth display and banner at the event as well. With your donation, we hope to donate $20,000 to the four charities this year. Sanderson Ford will be providing all facilities, trophies, t-shirts, prizes and entertainment at the show, so all you have to do is show up and smile. Please help us raise money for these deserving charities this year. Donations are due by September 13, 2013. For more information, contact Dave Tedder at (623) 842-8600 or DaveTedder@SandersonFord.com. 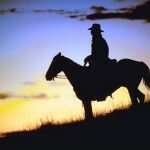 If you would like to request a package for someone, visit http://packagesfromhome.org. Sanderson Ford is extending our donation drive benefitting Packages from Home through August. 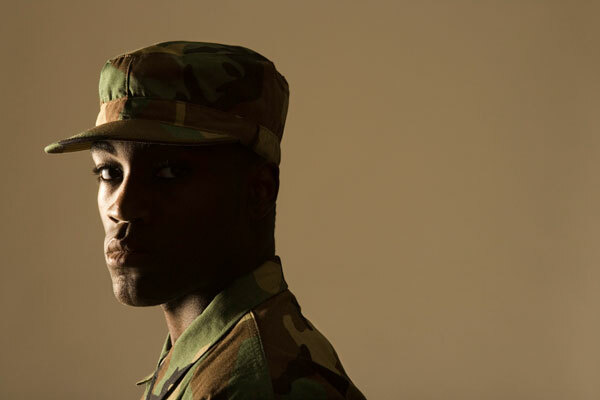 Donated nonperishables will be sent to U.S. military currently serving overseas. Sanderson Ford has teamed up with Sonoran News and other local businesses for a food drive benefitting Packages From Home. The food collected will be sent overseas to the troops currently serving in the Middle East. If you personally know someone serving overseas, you may request a package for them online at http://packagesfromhome.org. Sanderson Ford is collecting nonperishable food donations to benefit Packages From Home and U.S. Military serving overseas. 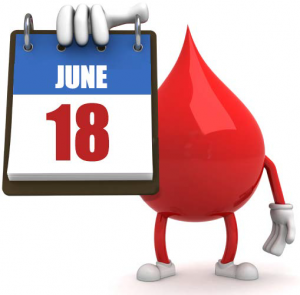 Sanderson Ford is hosting a blood drive tomorrow, June 18, from 10am-2pm. 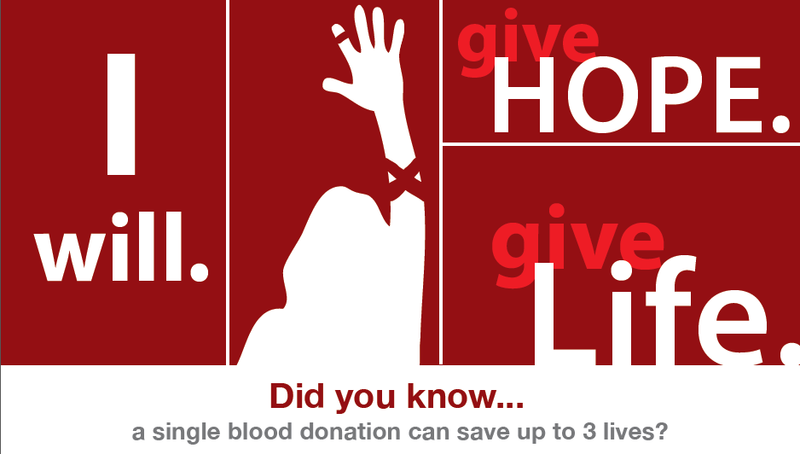 You can sign up for a time online at www.redcrossblood.org or by calling American Red Cross at (520) 230-7295. Don’t forget to use the sponsor code SandersonFord. In addition to doing your good deed for the day, you will also receive a buy one get one free ticket to select Phoenix Mercury games. Hope to see you there! Sanderson Ford is hosting a blood drive to benefit the Red Cross. Phoenix is no stranger to excessive heat, so Sanderson Ford, Ford Motor Company, and the Salvation Army have teamed up for the Escape the Heat Water Drive. This drive is taking place now and will last until June 16, 2013. The water drive will collect cases of water to support the Salvation Army’s Extreme Heat Emergency Plan, which uses mobile hydration stations around metro Phoenix to provide water, respite, and safety information on days with excessive heat warnings. This program was launched in 2006 due to the large number of weather related deaths that occur in Arizona due to exposure to heat. Cases can be dropped off at any of the 11 Metro Phoenix Ford dealerships, including Sanderson Ford. Each person who donates at least one case of water (24+ bottles; 16+ oz) will receive a half-off admission voucher to Big Surf Water Park. 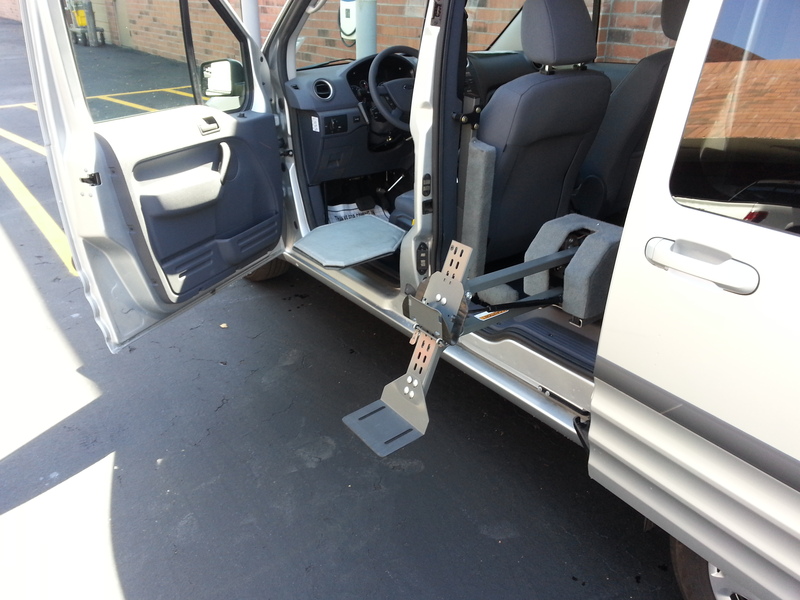 Donors will also have the ability to test out the brand new 2013 Ford Escape, including the class-exclusive, hands-free power liftgate, which makes it easier to haul large packages, like cases of water. The water drive gets its name from the Ford Escape, which is actually created from water bottles. The carpeting of each Escape holds the equivalent of 25 20-ounce plastic bottles that have been saved from landfills. Ford kicked off the drive with a $1,000 donation towards the purchase of cases of water, courtesy of Ford’s Operation Better World campaign in Phoenix. Ford hopes to collect 2,000 cases (48,000 bottles of water) during the two week drive. Sanderson Ford is collecting water bottles for the Escape the Heat Water Drive. This water will be given out on excessively hot days by the Salvation Army’s Extreme Heat Emergency Plan. 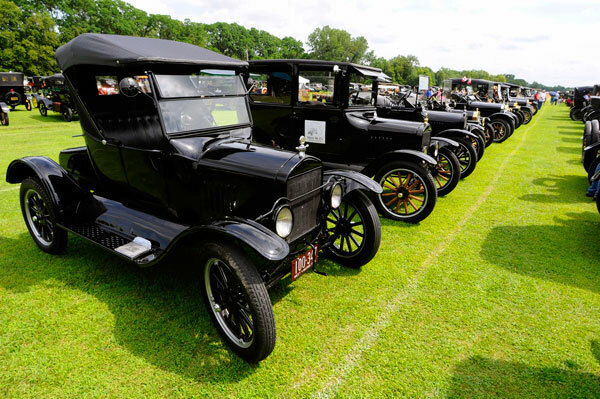 It’s almost time to kick off the Old-Timers Cruise-in and Car Show in Glendale, and Sanderson Ford is proud to be a sponsor of the ongoing event. 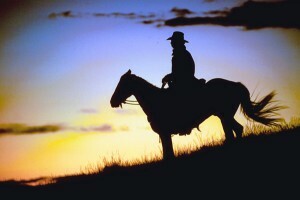 The show starts on May 18th, after which it will be held the third Saturday of each month, excluding December. The Old-Times Cruise-in and Car Show will take place in downtown Glendale on Glendale Avenue between 56th and 59th streets. Cruising is allowed and the car show will go from 1pm-8pm. Along with the car show, attendees can enjoy live entertainment and vendors. The antique stores and restaurants in Glendale’s historic district will be open as well. Up to 500 cars are expected to attend the Old-Timers Cruise-in and Car Show. The event is free so we hope to see you there!